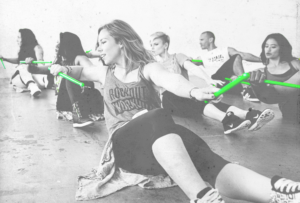 Tuesdays & Thursdays at 6:30 p.m.
+ Ripstix® add 1/4 lb extra weight to each movement which throws the body off balance, creating contraction in the core and stabilization system. 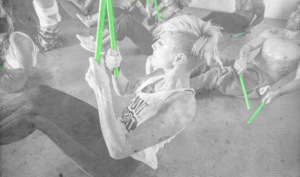 + Ripstix® intensify each POUND® position with light, peripheral resistance that not only works the shoulders, biceps, triceps, forearms, and back, but also dramatically increases the amount of instability in the body. + Ripstix® allow participants to experience audio-muscular connection. This means they can hear what their muscles are doing. + They’re made of durable plastic and are easily transportable – and can go through airport security — so you can take your Ripstix® anywhere!